A rare chance not to be missed! Selling at a bargain 99P. Treat a friend this Easter? A message from my publishers, the wonderful Crooked Cats! 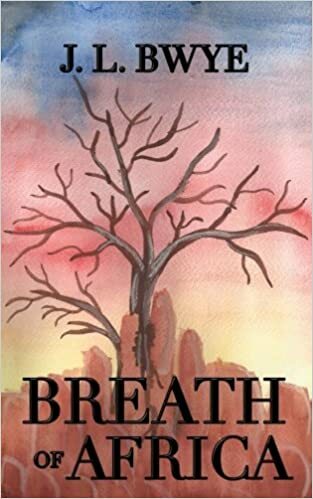 Head to Kenya in Jane Bwye’s “breath-taking” 5* epic, Breath of Africa, a land caught between old superstitions and modern life. Thirty years of Kenya’s recent history unfold through the lives of Caroline, a privileged woman from the fertile highlands, and Charles Ondiek, a farm labourer with dreams of an Oxford education.Charles’s love for Teresa, daughter of a hated settler farmer, leads to a drama of psychological terror fuelled by Mau Mau oath administrator, Mwangi, who i…s held in detention for six years. On his release, Mwangi forces Charles and Teresa apart, then turns his attention to Caroline. But she has inner resources, and joins with Charles to seek out a mysterious ancestral cave.Against the backdrop of Kenya’s beautiful but hostile desert, the curse is finally broken. But when Caroline discovers the hidden reason for Mwangi’s hatred, she wonders if she’ll ever, really, belong in the country she loves. This entry was posted in Breath of Africa and tagged Africa, bargain, Breath of Africa, Crooked Cat, epic, Kenya, Superstition. Bookmark the permalink.